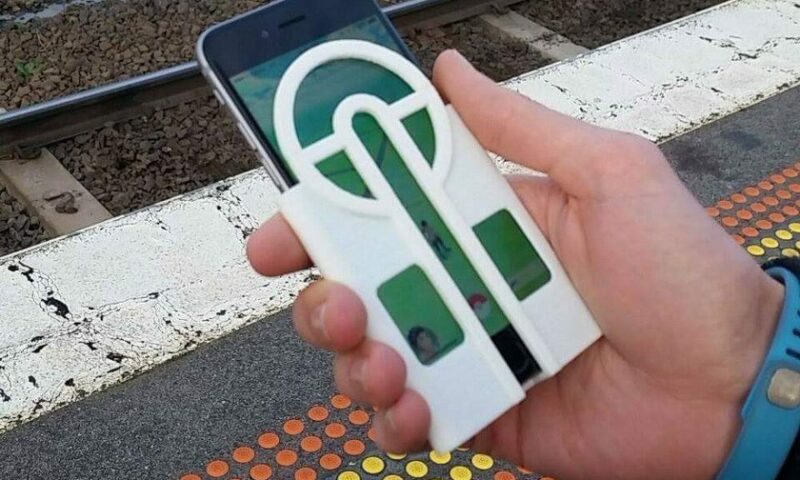 Can A 3-D Printed Cover Help Catch Pokemon? If you’re anything like me, you’ve found yourself tossing so many pokeballs right into the garbage. Pokemon GO is merciless when it comes to them. They go far left. They go far right. They don’t go far enough. They fly into the heavens. Regardless, they’re gone forever. And no, tapping them doesn’t bring them back. It is especially rage inducing after the 4th or 5th ultra ball kisses the grass for eternity. That is why Jon Cleaver designed the Pokeball Aimer. This 3-D printable cover intends to solve all pokeball related problems. I suppose it comes with a bit of a catch. You can’t exactly see the screen very well doing anything other than catching a pokemon. It would have to be removed after every catch. At least there are small windows to show the functions at the bottom. How useful is the skin, really? I hate to blame others for my shortcomings, but I can swear that the game makes my pokeballs miss. I mean, at least some of the time. Maybe I’m just telling myself that to make me feel better. Regardless, if you’re interested, Cleaver only has iPhone 6 cases designed at the moment. You can download the design from My Mini Factory today if you’re curious. Pokemon GO has finally gone home. After a few unexpected delays, the game has fi..
After hitting level 5 on Pokemon GO, we all had a choice to make. Whic..